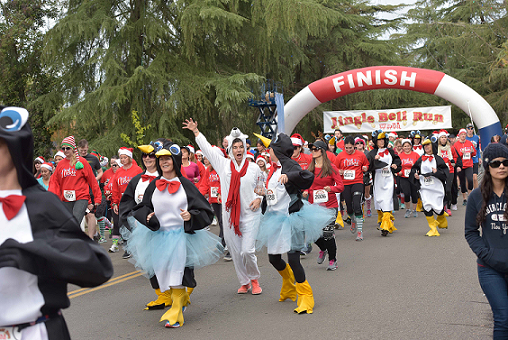 Register for the Jingle Bell Run for Toys for Tots today! On-line registration is closed. You can still register at packet pickup Friday Dec 13th at Fleet Feet from noon to 6pm. Registration for this 8th annual event down the World famed Christmas Tree Lane has opened. 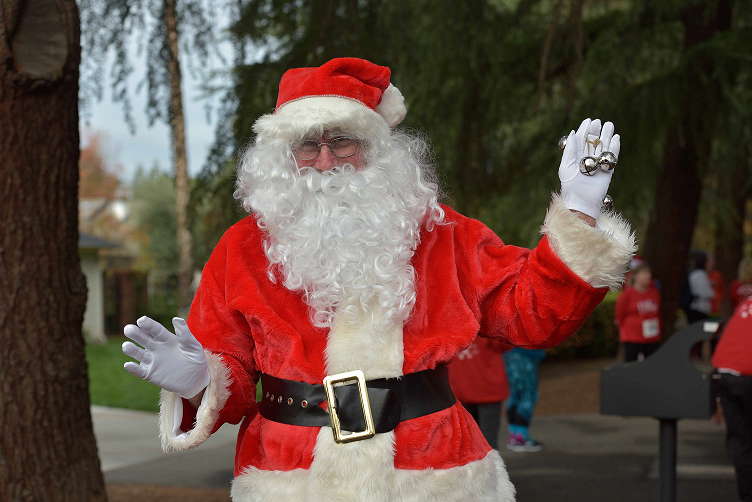 Each year the event welcomes 3,000+ participants and is fast becoming a family annual tradition and raising toys and cash for the Toys for Tots campaign. 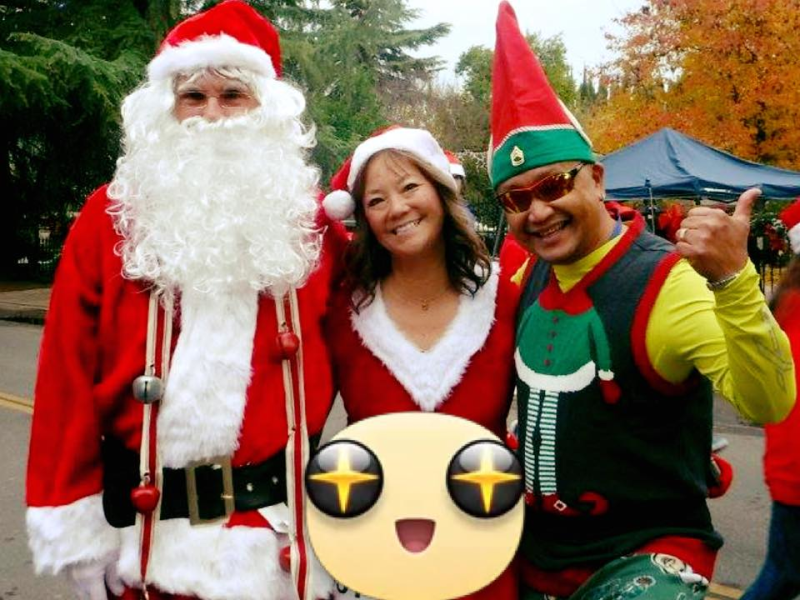 Each year the event welcomes 3,000+ participants and is fast becoming a family annual tradition and raising toys and cash for the Toys for Tots campaign. 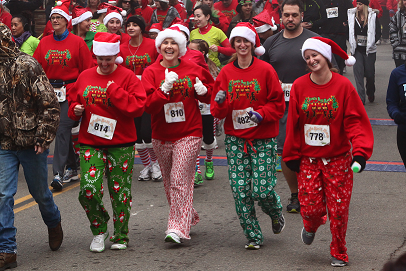 Presenting sponsors of the Jingle Bell Run is Aetna and Sutton Hague Law Firm. The course runs south on Wilson Ave from the corner of Palm and Shaw and then returning up Van Ness Blvd. 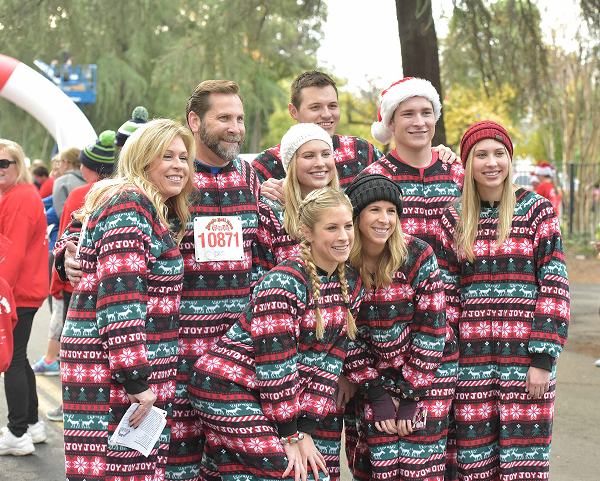 The Jingle Bell Run will feature a Christmas designed Sweatshirts and Jingle Bells to all registered participants. The hope is to get each runner or walker to bring a new unwrapped toy and for doing so they will be awarded a Santa Hat! 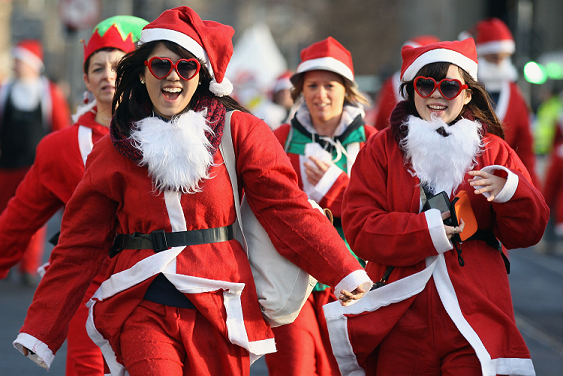 After completing the event the participants will be treated to Christmas Cookies and Hot or Cold Chocolate Milk. Let it SNOW! We are very excited to announce that we can predict snow at our Start and Finish line! That’s correct, we have the same technology that Disneyland deploys to bring snow to Christmas Tree Lane! The 5K is timed with age group awards and 2 mile walk is not timed! PLEASE! For safety reasons dogs are not allowed! Although strollers are welcome! Santa Hat - To all participants that brings a Toy or Donates funds to Toys for Tots. No sweatshirt size exchange during packet pickup. However, we will exchange on event morning starting at 9:30am, if available. Event takes place rain or shine. No race day registration! 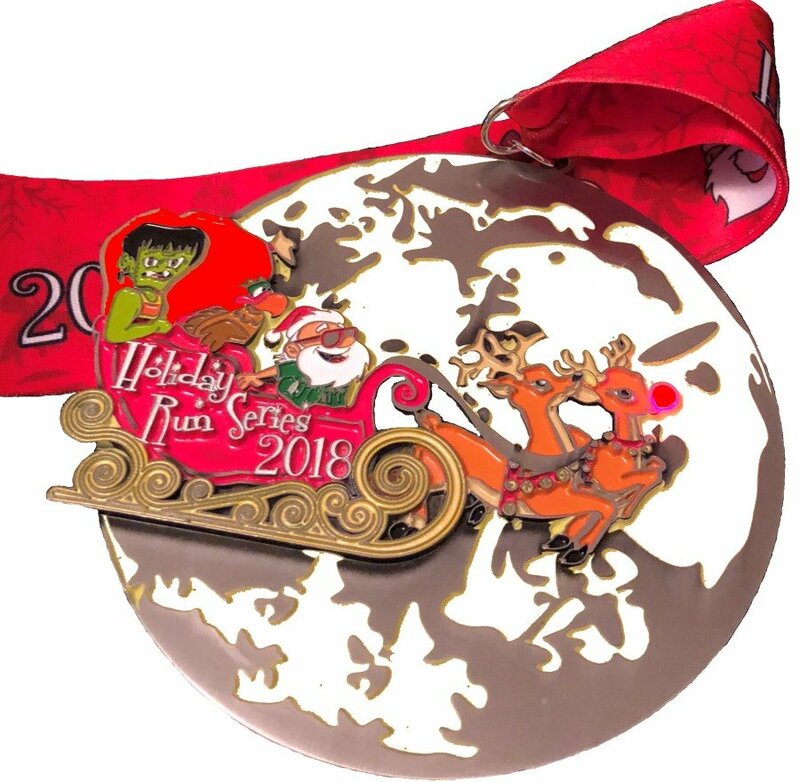 Register for ALL THREE of the Holiday Runs and receive a Holiday Run Series medallion with Rudolf's nose blinking at the Jingle Bell Run! Love to do the series but will miss one of the events? No problem.... then register for one of our virtual run options at any of the links above. Event Info Find A Participant Photos Results Final Instructions!